From the GE DM5E to the Labino BigBeam Aero, the world is full of incredible devices that you’ve never even heard of. These devices require specialized training to operate, and they’re a little complex. You won’t hear about them outside the industry in which they’re used. But these devices and their operators are unsung heroes. Without them, we would face grave danger in everyday situations. Believe it or not, this article isn’t about medical devices! Those have been covered elsewhere. 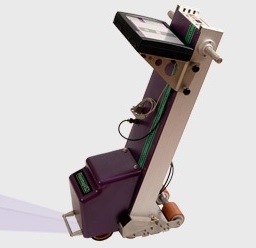 We’re looking at test equipment in a different sector: NDT (nondestructive testing). NDT specialists test all sorts of things that we rely on every day, from the lug nuts on our cars to the bridges we drive over. Without NDT specialists and their incredible tools, we might hesitate to board an airplane or buy a house near a railroad track. And while NDT equipment doesn’t eliminate the dangers associated with all these things, it does help NDT specialists to detect flaws in materials before somebody gets killed. What it does: The Seikowave Rhino does many things. However, one of its most important functions is to provide detailed 3D images of gusset plates on bridges. These are the big plates covered in rivets which hold several beams together. These plates are critical to the structural integrity of hundreds of thousands of bridges across the US. In 2007, the I-35 bridge across the Mississippi River in Minneapolis collapsed during rush hour. The collapse was partially due to weakened gusset plates. If the Seikowave Rhino had existed at the time, arguably, it could have prevented this tragedy. What would happen without it: Bridge collapses like the tragic I-35 incident in Minneapolis in 2007 would be far more common. 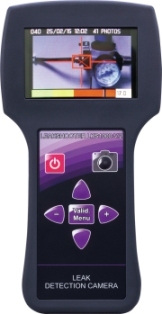 What it does: The Labino BigBeam inspects aircraft hydraulics, oil systems, and lubricant systems for leaks. Technicians add a fluorescent additive to the fluid in question. This additive has no mechanical or functional impact on the fluid. The fluorescent additive lights up under my UV beam where the fluid is leaking. What would happen without it: The Labino BigBeam prevents tragedy every day. If aircraft technicians couldn’t see leaks while planes were grounded, those leaks would lead to critical systems failure during service. Without the BigBeam, flying wouldn’t be the safest method of travel. 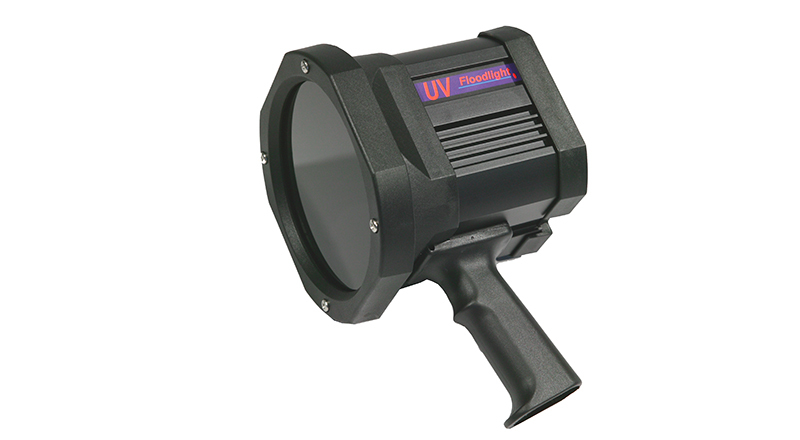 What it does: The CorDex TC7000 is a thermal imaging camera. That means it takes pictures of heat, rather than visible light. This is important in many engineering applications. For example, it can detect an overheated bearing in a powerplant before it blows. It can also detect electrical problems or instances of heat-loss in a building. It prevents disaster. 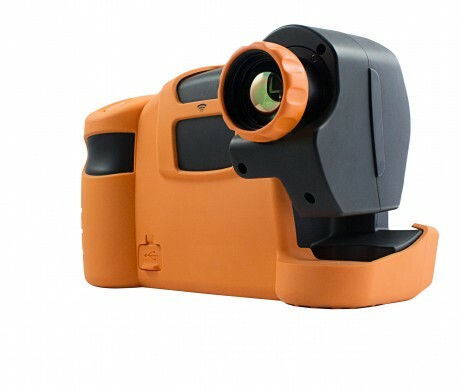 However, the CorDex TC7000 is different from other thermal imaging cameras: it’s explosion-proof. In other words, it’s specially built to use minimum power, and it’s totally sealed. That means it won’t cause any sparks while it’s taking thermal pictures. It’s safe to use in explosive, dangerous situations—including the petrochemical industry, the sugar industry, the mining industry, and others. What would happen without it: Inspectors would have to use uncertified cameras in explosive situations. Those cameras could produce sparks as part of their operation. Those sparks could ignite explosive gases or dust in the work area, which could kill the technician and anyone nearby. What it does: Basically, it lets you check for cracks in ANY kind of non-porous material. It has several liquid components which work together to reveal faults. You’ll find it checking for leaks in car parts, pressure vessels, construction worksites, aircraft, and more. It’s used everywhere! What would happen without it: Your mechanic might not be able to pinpoint the leak in your brake cylinder. Next time you slam on the brakes, you wouldn’t be able to stop. If this technology wasn’t used to test for cracks in an aircraft, that could be a disastrous pressure problem when the plane gets up to low-pressure altitudes. 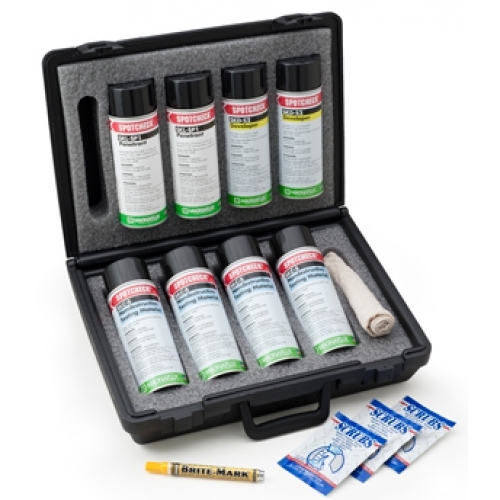 Either way, Magnaflux Penetrant Inspection Kits are saving lives. What it does: The Fluke 971 tells you exactly how much moisture your material contains. That way, you know if you’re using damaged or under-dried wood in a construction project, for example. With its ability to read humidity, it can also alert you to the presence of mold or mold-friendly conditions in a basement or other damp, enclosed area. What would happen without it: If you built a building out of rotting wood, or you failed to replace rotting wood in an existing building, the structure could collapse and kill people. Also, if you couldn’t find the conditions that encourage the development of poisonous black mold, people could inhale the spores and experience a range of symptoms, including neurological, respiratory, and circulatory problems. What it does: The USM Go+ finds internal defects in a weld—things you can’t actually see with the naked eye. It’s used for weld inspection in a wide range of industries, including oil pipelines, nuclear power, and heavy equipment fabrication—think CAT and John Deere machines. Also, it can check steel to make sure it’s free of defects before it’s used to manufacture a high-pressure vessel. It’s also used in wind towers, where it checks welds on the tower, plates, and the turbine blades, which have an annoying tendency to delaminate. What would happen without it: Everything just listed would go wrong. At a construction site, a CAT payloader might fail and cause injury. In a nuclear power facility, a weld could fail with disastrous consequences. In an oil pipeline, a weld could fail without warning, spewing oil across natural conservation areas or heavily inhabited regions. What it does: Basically, this device pounds a little metal ball into hard things. The operator uses these measurements to figure out how hard a piece of material is. 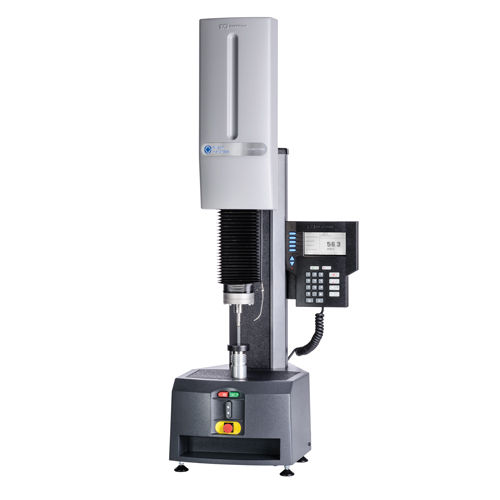 It has numerous different applications in the engineering and manufacturing world. What would happen without it: That’s hard to say, because it’s used in so many different fields. But any kind of manufacturing that depends on material hardness would suffer without it. Suffice it to say, that covers all kinds of transportation production, including cars, airplanes, and boats, as well as the hardness of construction materials used in bridges, dams, pipelines, large buildings, and more. 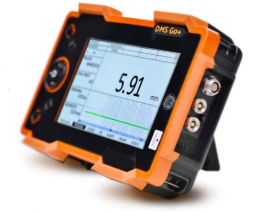 What it does: The GE DM5E is a basic ultrasonic thickness gauge. It measures the thickness of walls in oil and gas pipelines. It does this by sending out ultrasonic sound waves into a material and listening to what comes back. It compares its measurements with baseline numbers. That way, the operator knows if a pipeline needs to be repaired. What would happen without it: If we couldn’t measure pipeline thickness, we couldn’t address potential leaks before they happen. The world would see more pipeline leaks, and we would have more casualties from pipeline explosions and fires. 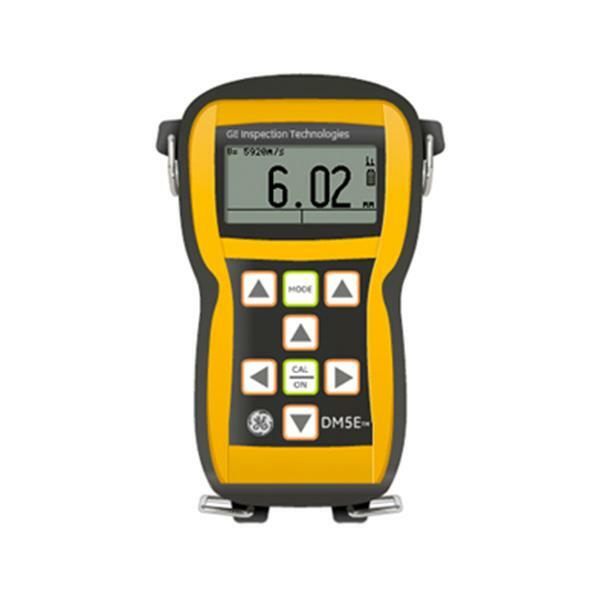 What it does: Like its kid brother, the DM5E, the DMS Go+ is also a basic ultrasonic thickness gauge. It measures the thickness of walls in pipes, tanks, and reaction vessels. It does best when it’s measuring steel, but it can handle other materials too, as long as the operator knows what he or she is doing. What would happen without it: We wouldn’t know about potential leaks in pipes, tanks, and reaction vessels. Those leaks would happen more often, and people working in plants where the DMS Go+ is used would be in greater danger from spills and explosions. What it does: The VS2i maps the floors of storage tanks to show damage. It provides detailed readouts of corrosion, pitting, and other potential problems. 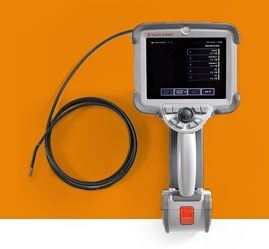 It has a rugged touchscreen computer, which makes it easy for technicians to use in industrial environments. It’s battery-powered, which means it’s not tied down to an outlet. What would happen without it: Technicians wouldn’t be able to read the surfaces of tank floors. Pits, gouges, and corrosion would go unnoticed until it was too late. Where the tank in question holds a flammable or toxic chemical, a spill would be disastrous. What it does: It measures temperatures from -22 to 1652 degrees Fahrenheit with high distance-to-spot measurements. It performs this incredible task with lasers. 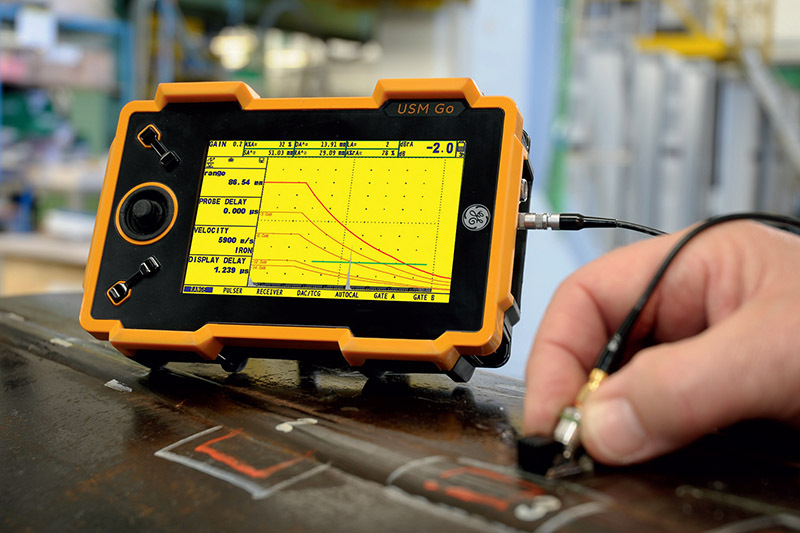 What would happen without it: Since it’s used in high-temperature industrial environments, the absence of the Fluke 572-2 would be felt immediately. In metal refining and smelting environments, as well as glass, cement, and petrochemical production facilities, technicians couldn’t get accurate temperature readings of extremely hot materials from a distance. This lack of information could lead to explosions and fires, putting lives at risk. What it does: Basically, the LKS1000 is a high-tech microphone. The technician sets it to a frequency band in which leaks would occur. The technician walks up to an environment and points the device at the area in question. The device sees any leaks that are vibrating in that frequency band. It can record video and pictures of these scenarios. It’s used in pipelines, manufacturing environments, oil refining, basically any kind of situation that deals with pipes, valves, and nozzles. What would happen without it: Technicians wouldn’t be able to find industrial leaks quickly. They would have to use more time-intensive methods of detection. If they missed a leak, it could prove disastrous, depending on the substance that was leaking. What it does: The GEIT Mentor Visual IQ is a video probe articulated by a joystick. 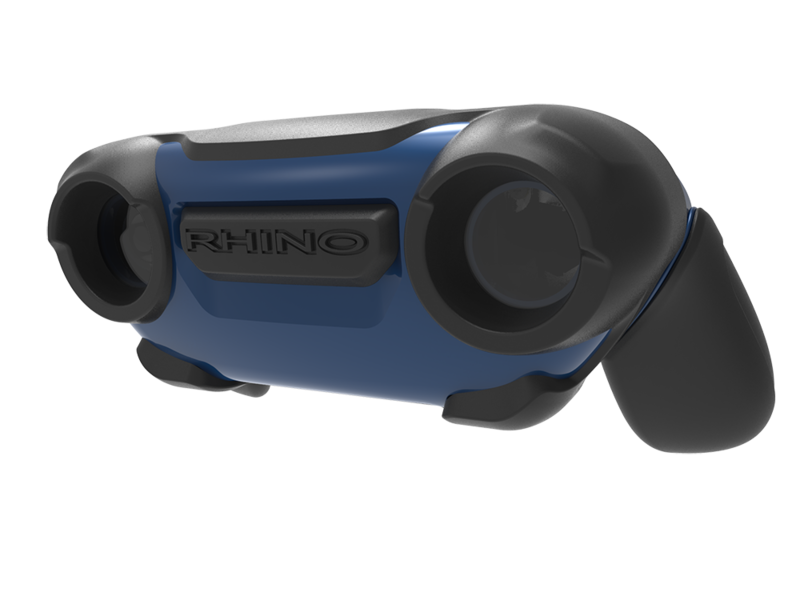 It can go through a 6mm hole and show you show you things your eyes can’t see on their own. One of its most critical applications is checking turbine blades in aircraft. It can see deep inside aircraft engines to find problems that you couldn’t see otherwise. It even comes with toolkits that let you grind off dings on turbine blades. What would happen without it: Without it, aircraft technicians would have to tear apart jet engines just to do preventative maintenance. It saves a lot of time, which means a lot of money saved for consumers. Of course, if turbines weren’t checked at all, disaster would happen while the plane is in the air.